Beginner beekeepers Lauren & Phil are looking for people in the Llangolman area that might be interested in working together. They have 12 acres of land, 3 empty hives almost ready to go and lots of enthusiasm. If there is anybody with more experience in the area that would be interested in working with them to establish and manage the hives as a cropshare / work exchange then please email laurensandphilm@gmail.com or call 01994 448 275. Beginners Beekeeping Course – Nearly full! There are now only a few places left for the one-day beekeeping course on Saturday 10th March 2018 at the Picton Centre, Haverfordwest. So if you are interested, please get in touch asap and email: pauleades@btinternet.com for details. Another great day at the Pembrokeshire Beekeeping Centre! Another great beekeeping ‘taster’ session at the Pembrokeshire Beekeeping Centre at Scolton Manor was enjoyed by members of the public yesterday morning, followed by a very busy training session in the afternoon for the experienced beekeepers!! Thanks to everyone who took part – a very busy day….phew!! If you are interested in starting beekeeping and want to know more, please look here! Episode 1 of this series was shown on BBC4 on 14th April, 2014 and is available on the BBC iPlayer until 8th May. If you have a slow connection I suggest you download the programme and watch later. The programme description below is (from the iPlayer website). “Martha Kearney’s year gets off to a bad start when unseasonal snow in spring threatens to kill the bee colonies she keeps in her garden in Suffolk. With help from a master beekeeper Martha feeds her bees and takes one of the hives to a wildflower meadow at a neighbour’s house along with two brand new hives. Some excellent photography includes film of a queen laying eggs. 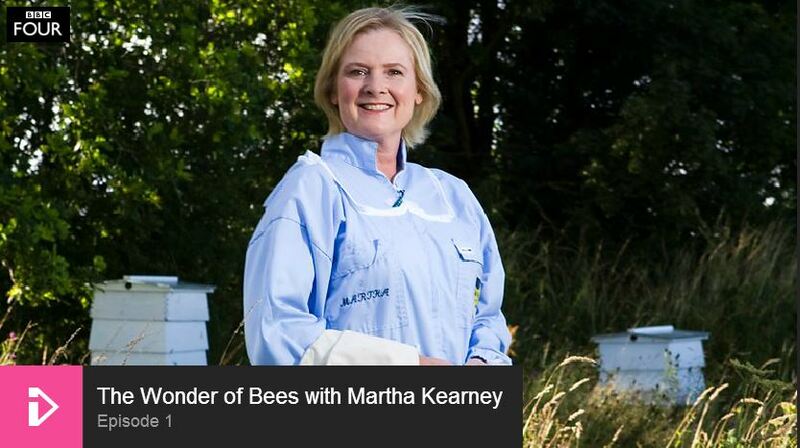 Martha Kearney has as her mentor a master beekeeper and together they provides a good commentary of progress within the hive. Will be going ahead at alternative venue – see previous post for details. We will be demonstrating hive and frame assembly, hive scorching, for used equipment. Experienced beekeepers will be on hand for beginners to get to know over a cup of tea. And lots more. The WBKA Insurance provider on 10th May 2012 issued an endorsement regarding the use of Personal Protective Equipment (PPE) for beekeeping activities. 3. a register is maintained which demonstrates that EMPLOYEES and members of the public have received appropriate training and are fully conversant with the way in which to access such personal protective equipment prior to engaging in beekeeping activities. Therefore prior to undertaking beekeeping activities with members of the public / employees the need for personal protective equipment should be explained. Following this a list (register) needs to be kept of the people receiving instruction in the use of the PPE. They should sign the list as you may need to demonstrate they have had the appropriate training before engaging in beekeeping activities in the event of a claim. A few places have become available on the course taking place on Feb 25th. 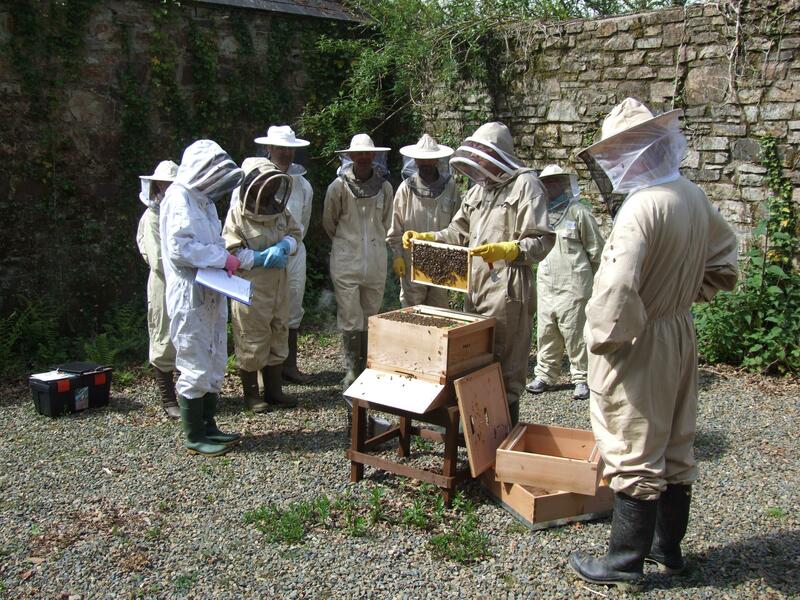 This one day classroom course is an ideal introduction to beekeeping run by two experienced beekeepers from Pembrokeshire Beekeepers’ Association. Included in the course fee of £35 are handouts and a CD with the slides used during the day for you to take away. This is your chance to decide if you want to find out more, ask questions and make contact with beekeepers in our county.